The perfect finishing touch for street rods, street machines and street/strip cars and trucks. 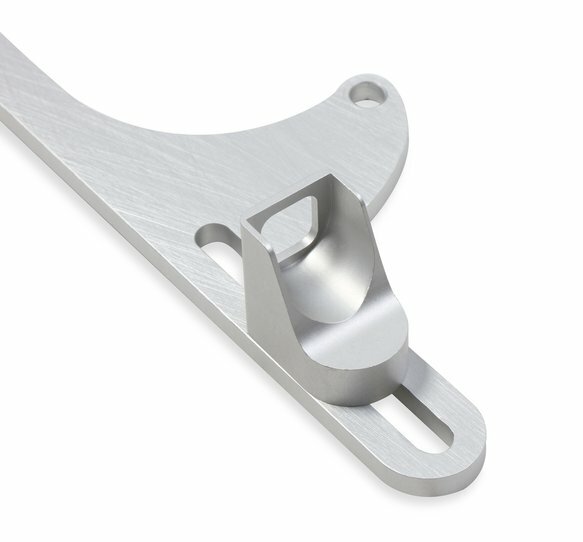 Why go cheap on a throttle return bracket when you can get a good looking, quality piece made of billet aluminum? 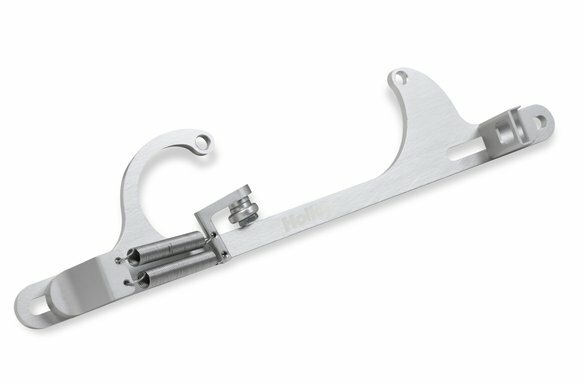 Let's face it, the throttle cable/return spring bracket is one of the first things your eyes focus on when you lift the hood of any car. You can't help but miss it because it's right out there in the open! If you're going the route, go the whole way with something that looks good while providing a real measure of safety. This clear anodized bracket is multi-adjustable to work on Edelbrock Performer and Carter AFB model carburetors. 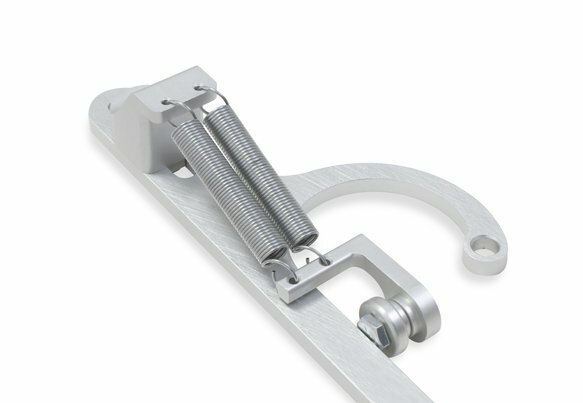 It includes a dual return spring combination that's perched on a uniquely effective mount. 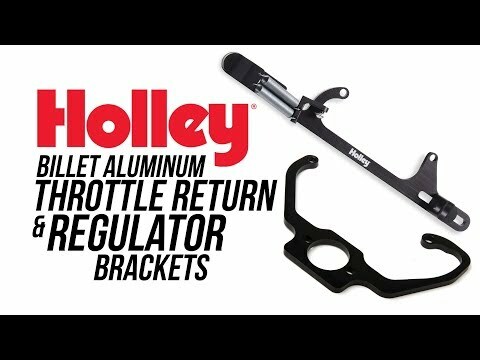 Hardware is all stainless steel to stand up to the rigors of time.The Holley name is boldly engraved and provides a very special touch to this outstanding product. For use with GM cable **EDELBROCK, PERFORMER SERIES, and THUNDER SERIES AVS are registered trademarks of Edelbrock, LLC.